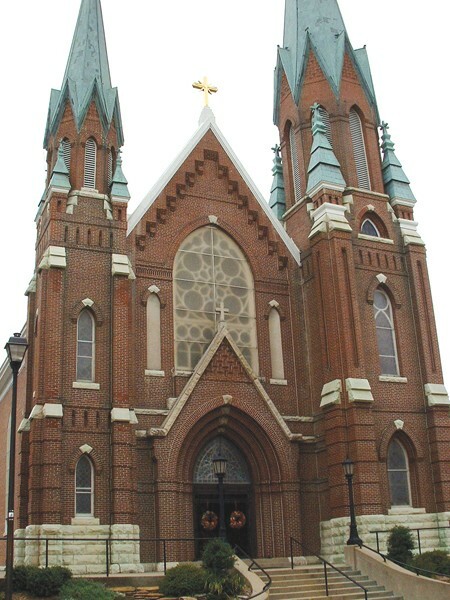 St. Francis Xavier Cathedral was built in 1826, making it the oldest church in Indiana. 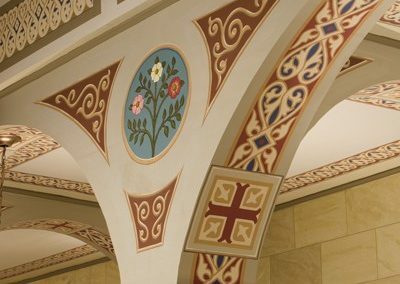 Over the years, the decorative scheme was modified a number of times, each time further masking its original structure and splendor. 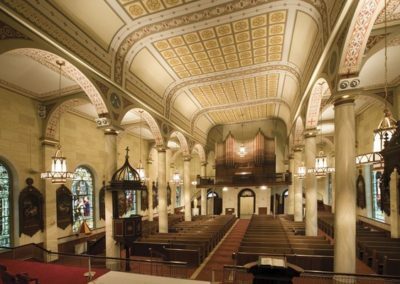 Restoration challenges of this historic Catholic church included peeling canvas walls, buckling ceilings and shifting wood laths and coffers. 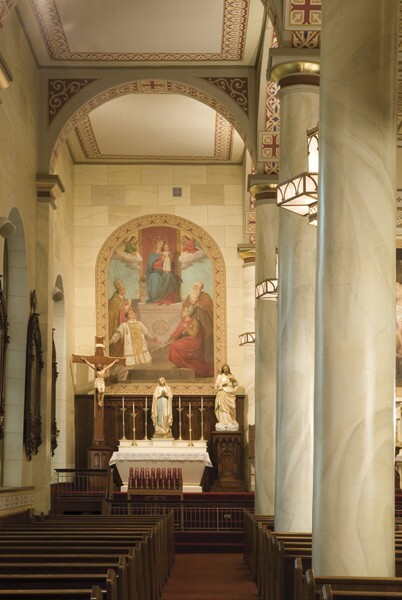 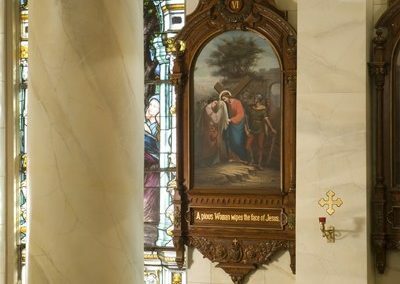 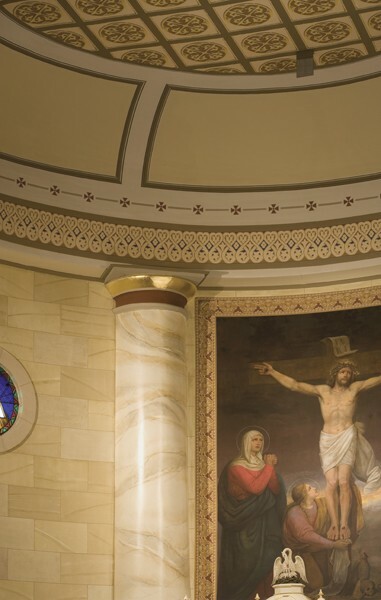 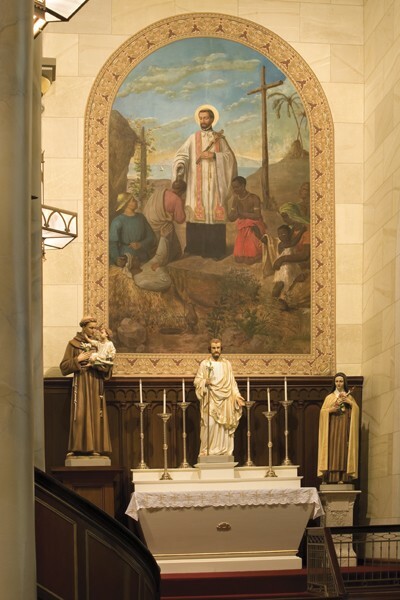 In 2006, after about one million dollars spent on restorative efforts, Conrad Schmitt Studios renewed the youth and original charm of the oldest church in Indiana. 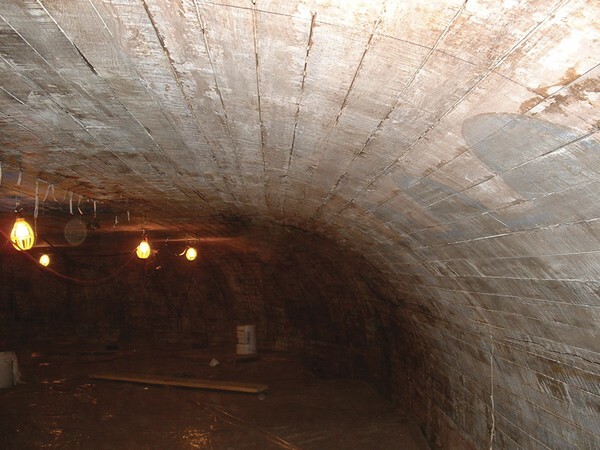 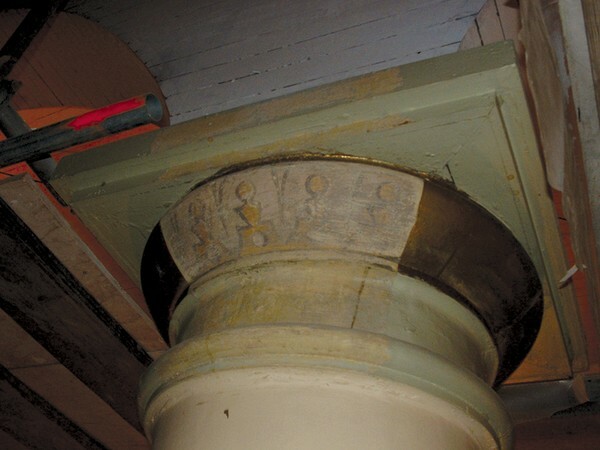 The key to conquering this challenge was restoring structural elements. The lesson to take from this case study is as follows: Ignoring the needs of the structural elements is never an option. Decorative efforts will be futile if failing structural materials are neglected. 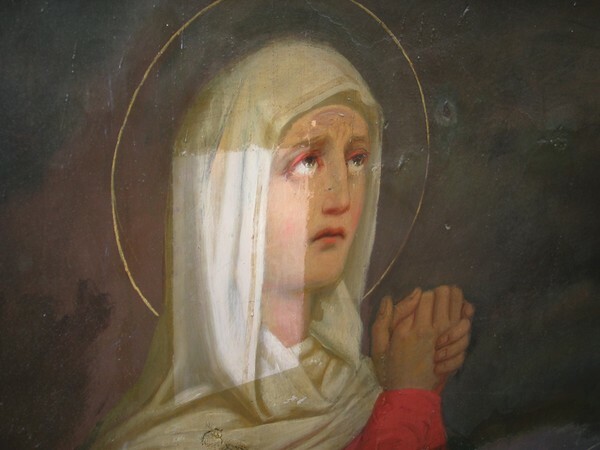 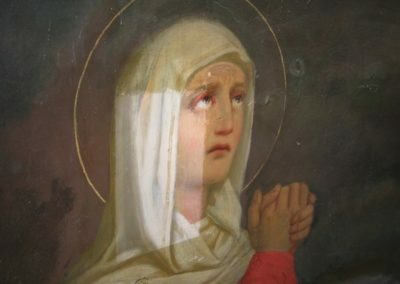 The first step, as always, was a thorough historic and paint investigation. Remember that this step becomes more and more challenging with each repair, replacement, or other modification that has occurred over the years. 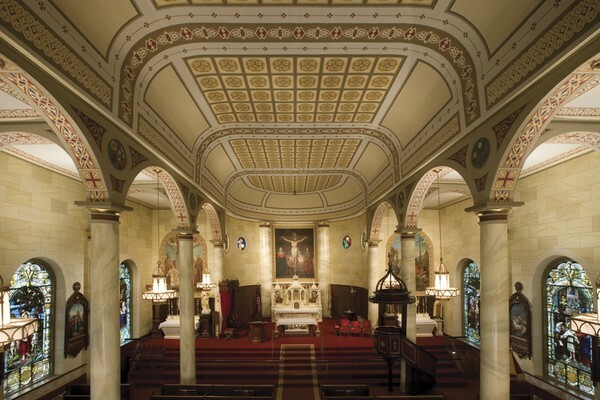 With a detailed understanding of the historic make-up of the church, all past work accounted for, the professionals proceeded. 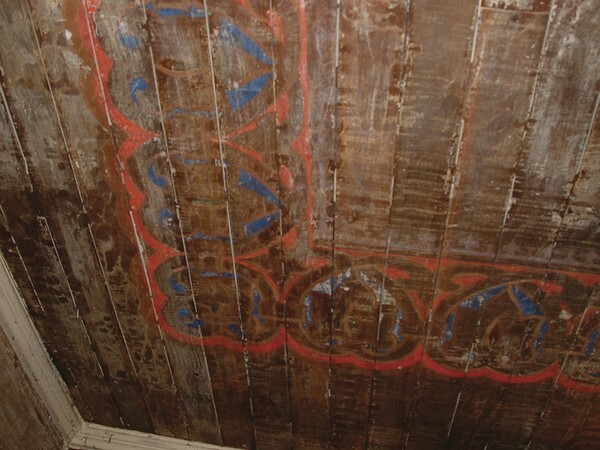 Old canvas was removed from the walls, and washing, scraping, and patching followed. 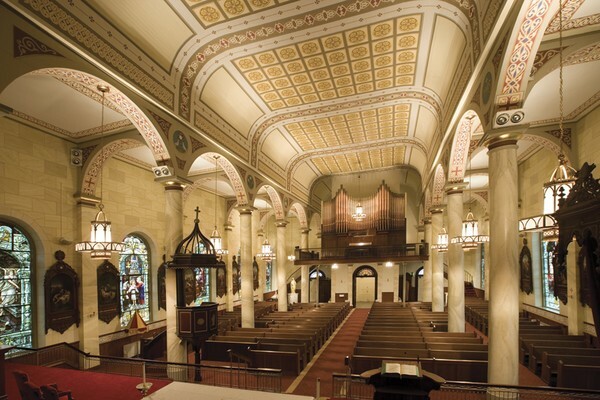 Next, shifting, sagging ceiling coffer was repaired. 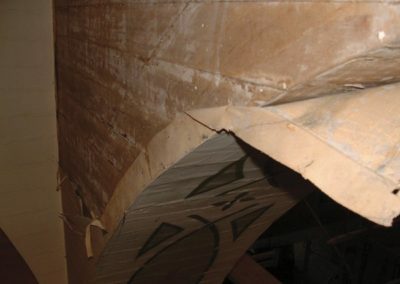 Then, fiberglass was bonded to the ceiling, and the new canvas was attached. 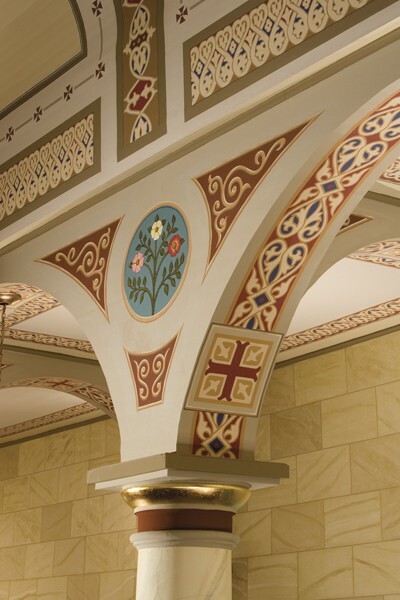 After the completion of all structural repairs, artists began shifting their energy toward more decorative elements. 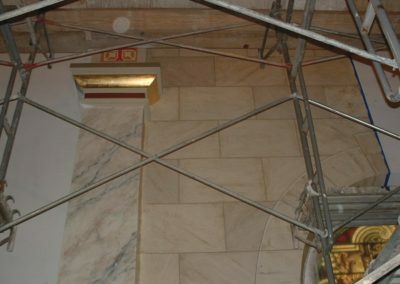 Interior walls were painted with a faux decorative stone finish. 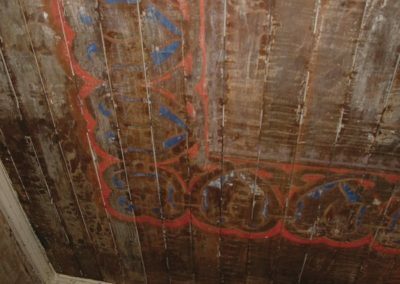 Artists also painted a faux wood-grain on the lower wainscot panels to resemble the original design. 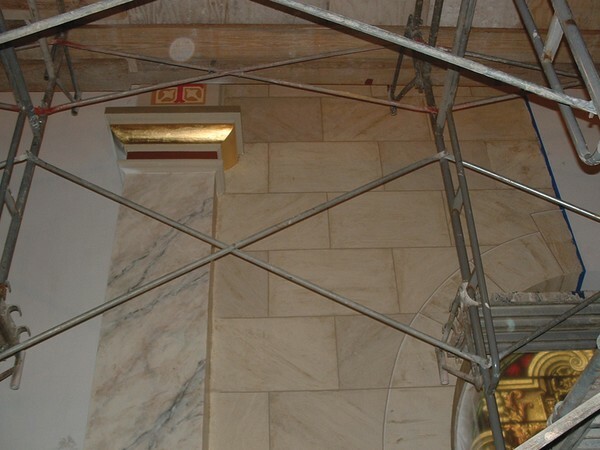 The columns were marbleized, and capitols were gilded with 23 KT gold. 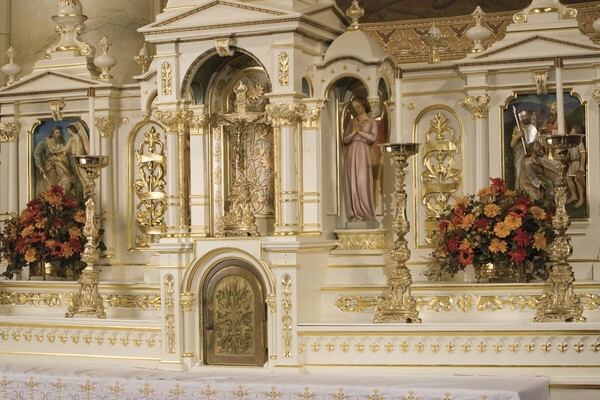 Next, artists could attend to more specific needs, such as the state of the 1904 altar. 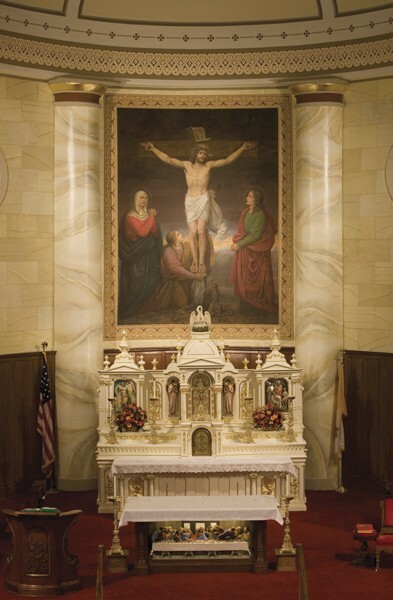 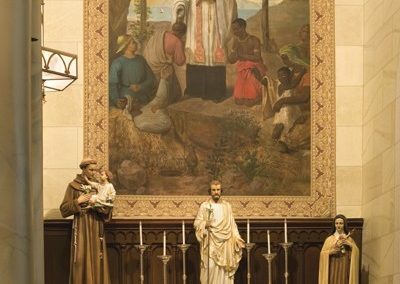 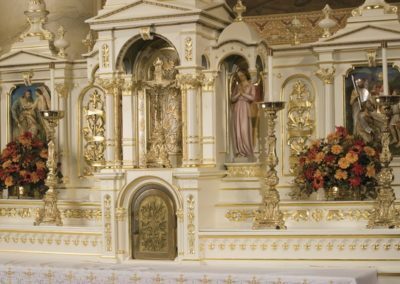 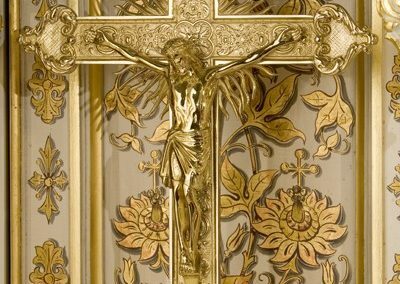 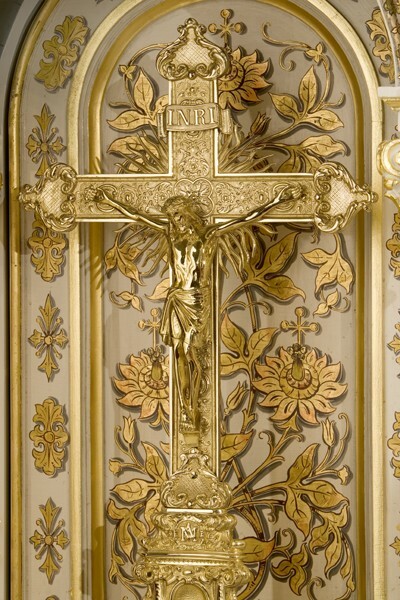 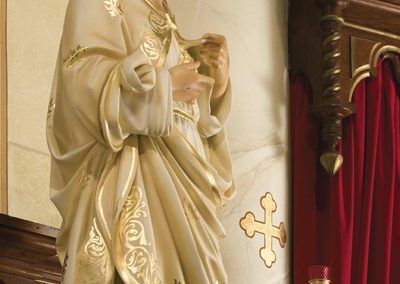 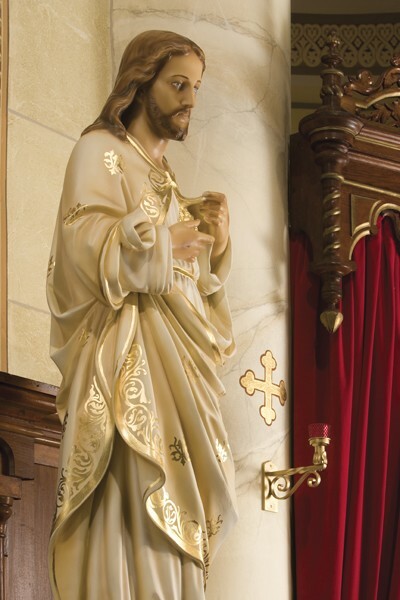 CSS repaired and redecorated the figures that sculpted the “Last Supper Scene.” Artists painted the wood base of the altar to resemble mahogany, covered the top of the altar with white Italian marble, and even re-gilded a portion of the altar. 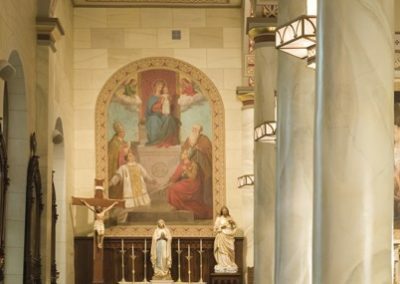 The final stride in this solution was to restore the numerous murals and Stations of the Cross that were seriously darkened from decades of environmental air pollution and candle soot. 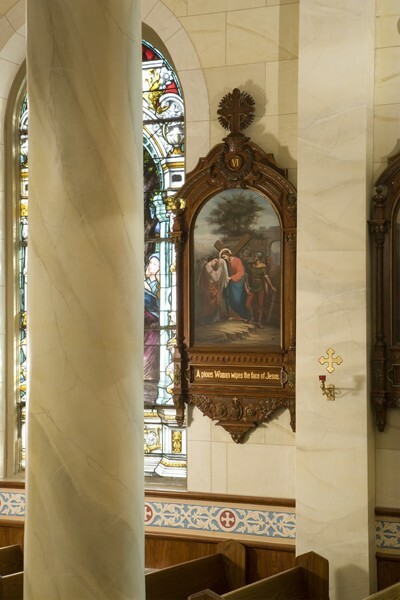 CSS meticulously cleaned the images in order to conserve and brighten and expose their true garment colors. 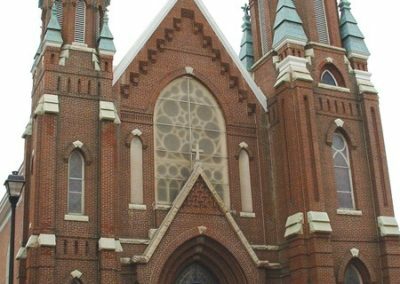 The tradition and original charm of Indiana’s oldest church has been renewed for future generations.